We are used to hearing inspiring success stories of people who dream big and achieve their dreams. Jordan has many young energetic talents, young men and women who dream big. I have started a series of interviews to highlight and support Jordanian young talents, my focus was the film and video production industry but I also realised that there are other stories that need to be told as well. Abjjad is the biggest community for Arab readers, the website hosts pages for more than 120K Arabic books, 12K+ book reviews and more than 60K registered users. Eman Hylooz, Abjjad’s founder, quit her job as a Marketing & Knowledge Management Senior Officer at KPMG 2.5 years ago to pursue her dream. She believed in herself, in the country’s promise to young digital entrepreneurs, and in the wide limitless promise of the internet. With a dream to create the biggest and only network for anything related to Arabic books Eman set herself up onto one hell of a journey. In 2011 World Economic Forum, I listened to Osama Fayyad, the chairman of Oasis500 (a seed investment company for the ICT sector in Jordan), telling the audience a story about how King Abdullah dared him to copy the success of Maktoob and create another 500 hundred success stories. At that time, I am sure that many of us had doubts, but today, we can witness many success stories growing through that Royal challenge. Three years down the road, and in spite of the turmoil in the region, Abjjad, is definitely shaping up to be one. Osama Fayyad must be proud. FZ: Eman, it is good to catch up with you, you have been running around like a bee from one publisher to another, what are you up to? EH: Good to catch with you too dear! 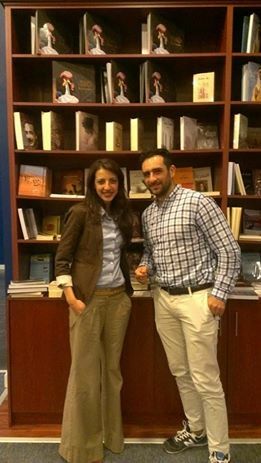 Yes I have been meeting and talking to more than 200 publishers in the book fair all around the Arabic region! We are introducing a new product for the publishers, where each one of them can have his own page on Abjjad. They can sell their digital books on the platform too as Abjjad’s readers have been asking for this since the debut of the website. We decided it is time to launch this product and we did! FZ: How many publishers where you able to sign with? EH: We currently have digital books from 19 publishers and in the final talks with more than 40 publishers. FZ: Do you think this is the best business model for Abjjad? how do you see it affecting the Arabic literature scene? EH: The best thing is to introduce digital books inside Abjjad’s network, which will help in having Arabic copy righted digital content. This is something that has been missing in the region. This will definitely affect the Arabic literature scene dramatically, as there are millions of Arabic online users from all over the world who cannot reach to the Arabic literature because of living in different countries with limited access to Arabic books. 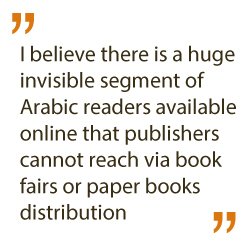 I believe there is a huge invisible segment of Arabic readers available online that publishers cannot reach via book fairs or paper books distribution among the Arabic book shops. FZ: When I met you two years ago, you were just starting. Lots have changed since then, and Abjjad grew to be a huge success. How was the journey? Tell me more about Abjjad’s success I am eager to know. EH: Oh… The journey =) It was very exciting sometimes and very harsh other times! Running an online business is crazy! As you need to be really fast to be able to compete. In addition to that, you need to seek investors and convince them to believe in you and invest in the online business field which is well known to be very risky! I have been through a lot of experiences that made me tougher and more focused to reach the goal. Abjjad was only an idea in my head 2.5 years ago, now it is getting more than 700,000 page views every month and 200,000 visitors. As a company Abjjad has reached a valuation of $1 Million. Abjjad is ranked 3,864 in Egypt, 5,647 in Saudi Arabic, and 2,850 in Algeria. Abjjad is now recognized to be officially a book rating system by Google. It has a global rank of 88,525. Abjjad was able to get an investment of $240,000 from 45 investors all over the world, part of the investment was done through an online crowd investment campaign, where we got 134% over funded in 88 days! FZ: I am sure that only few people know you took a huge risk in quitting your full time job and investing your savings in Abjjad. You had no backup plan. I remember when you started you told me that you either succeed or succeed. You left yourself with no options to run away from achieving your goal. How did that go? How did it help in pushing you more and more and energize you to do all the hard work that got you here? EH: This was a very hard phase, and keeps getting harder along the way! It pushed my limits in a very surprising way, whenever I get some flash back of some certain challenges I have been through, I still feel surprised of how did I survive?! It made me know myself better, and discovered that my abilities and much bigger than I thought. FZ: I know that Oasis500 have been giving you much help and support but it was mainly your hard work that made this platform a success. Tell me more about your beginnings, how did Oasis500 help? EH: Oasis 500 helped A LOT! When Abjjad was only an idea in my head, they helped me sculpturing it to show the business model behind it, test the market, and measure the potential growth. Afterwards, they helped in giving in cash and in seed investment where Abjjad became real and a potential product where I can grow it and seek for further investment. They provided mentorship and introduced me to a huge network that I would have never reached without them! After 1.5 years, they actually reinvested again in Abjjad and helped me close my first round of investment too! FZ: You know I am a big supporter for women rights and gender equality. When I see a young woman this successful my heart blossoms with happiness. I know that gender consideration was there in the beginning in Oasis500 strategy of supporting young entrepreneurs. But as a woman, how do you think it affected your journey with Abjjad. Did you face any challenges because of your gender? How did you tackle that? 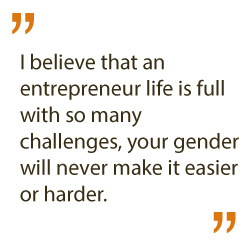 EH: Hmmm… I get this question all the time, and I really have a problem answering it ☺ I believe that an entrepreneur life is full with so many challenges, your gender will never make it easier or harder, we share the very same headache! But to be fair, the programs that tackle women entrepreneurs are growing, and maybe this is adding some benefits to me in terms of getting some sort of sponsorships to attend global events, or some more highlighting in the media. Otherwise, I cannot see the big difference. I would add to this my own findings in this specific area, which really would create more challenges I believe is the marital status, because being an entrepreneur means barely seeing your family, so I really cannot imagine how hard it would be to have kids for example. This might create a huge difference. 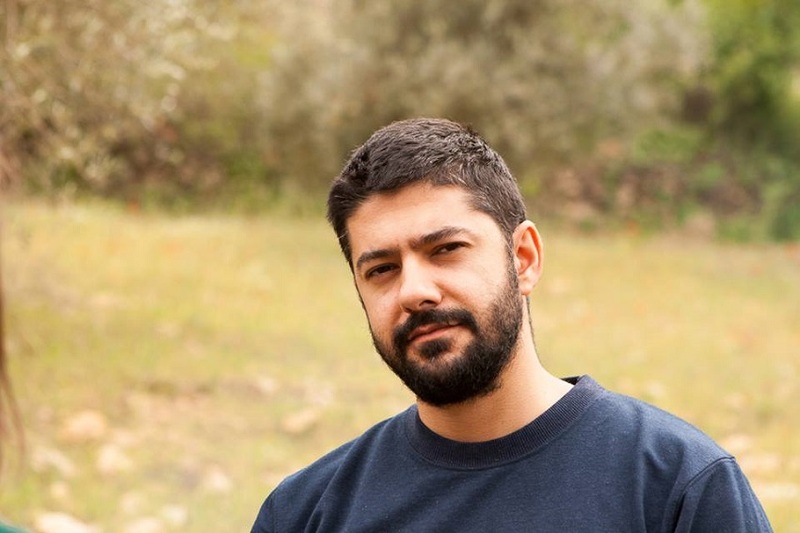 FZ: What’s next for Abjjad? FZ: I know the sky is the limit, but what’s your vision for Abjjad? EH: To be the biggest and only network for anything related to Arabic books! Combining all the readers, writers, publishers, and digital books in one place! FZ: Following one’s passion is a great thing, having a successful business must be very satisfying, topping that with a noble cause (building an Arab reading community) is something out of this world. How do you feel about that? EH: When you say it this way, it makes me feel very proud! Yet, it scares me whenever Abjjad gets bigger every day, as that adds more and more responsibilities to meet people’s expectations! Books are great, and working for this cause makes the journey worth taking! FZ: Amen to that Eman Hylooz, we are so proud of you.. wishing you and Abjjad all the luck in 2015 and beyond. Arabic literature has a future champion, a daring young woman entrepreneur.